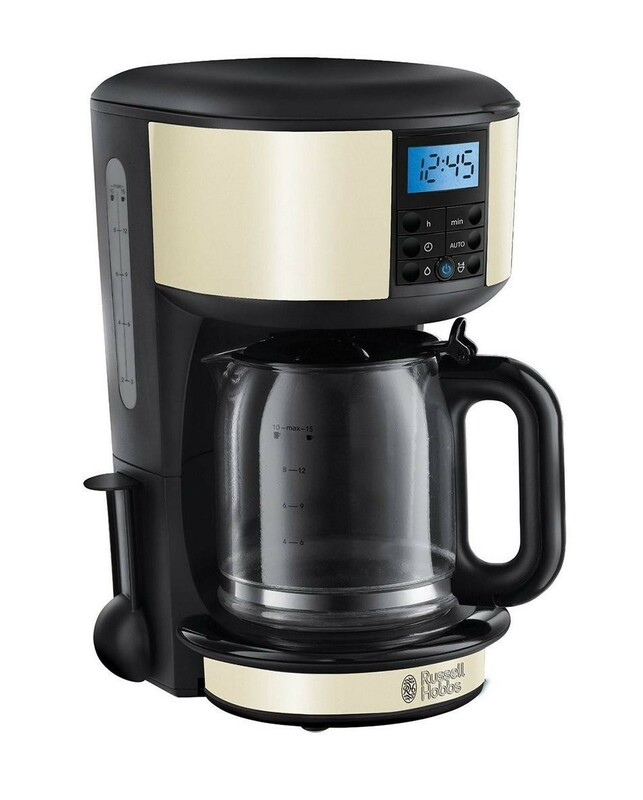 The Russell Hobbs 20683 Legacy Digital Filter Coffee Maker 1.25 Litre Cream is the ideal device for helping you to wake up in the morning to a delicious, hot pot of coffee. The 1.25 litre glass carafe enables you to make up to 10 cups at a time but if that's too many, it can be set to make 1-4 cups. The advanced showerhead technology ensures that more of the coffee is captured and dissolved which gives you more flavour while leaving less waste in the filter, the reuseable filter is dishwasher safe to ensure you get maximum flavour every time. The 24 hour programmable timer enables you to set the coffee maker to make a pot of coffee for when you wake up or arrive home from work and the keep warm function ensures it doesn't go cold if you run a little late.